These huge personalized name signs are so cool! They will just make the decor of any room! Shipping is $9.99 so your final total will be $49.98 shipped! If you want more than one, shipping is $4.99 for each additional item so you will pay $44.98 for each set after the first. 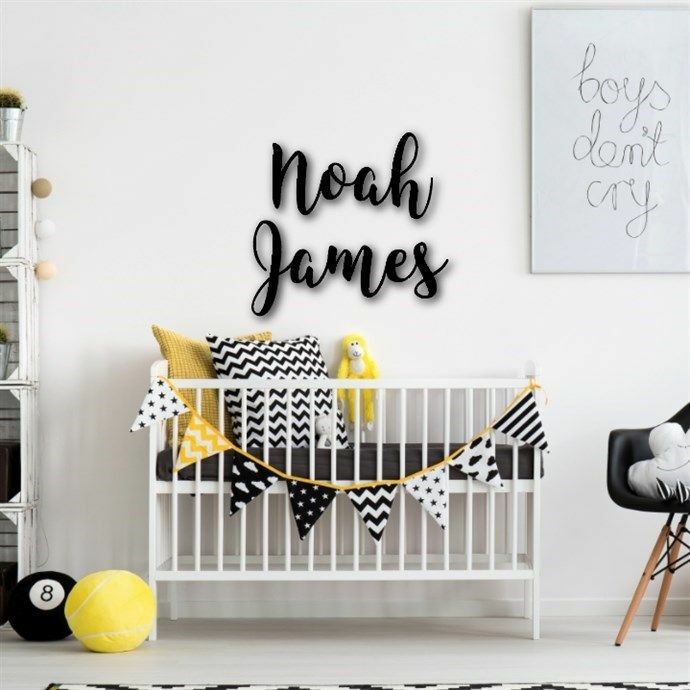 These huge, oversized unfinished names are absolutely a perfect centerpiece for your child or baby’s room. Choose between our 2 trendy fonts and type the 2 names that you wish to have cut. When the names arrive they will be ready to paint, stain or embellish to match the decor of the room. IMPORTANT INFO: The two names will be put side by side and will be sized proportionally (to each other) for a total of 60 inches in WIDTH. Names will vary in width depending on how long they are. 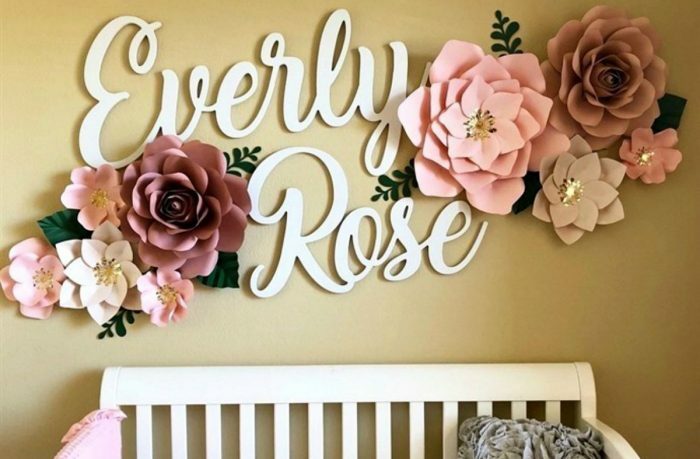 FOR EXAMPLE: ON THE NAME EVERLY ROSE IN THE PICTURE, “EVERLY” IS APPROXIMATELY 34″ WIDE AND “ROSE” IS APPROXIMATELY 26″ WIDE, MAKING IT A TOTAL OF 60″ WIDE. THE NAMES YOU CHOOSE WILL BE SIZED PROPORTIONALLY TO EACH OTHER AND HAVE THE SAME HEIGHT BUT WILL VARY IN WIDTH DEPENDING ON HOW MANY LETTERS THERE ARE.